In the main event of the UFC’s first card on ESPN+ this Saturday night, UFC bantamweight champion TJ Dillashaw will try to make history as the next two-division champion in the UFC, as he drops down to flyweight to challenge divisional champ Henry Cejudo. Ahead of the champion vs. champion fight, BJPENN.com reached out to several pro fighters to get their predictions. Some had major question marks surrounding Dillashaw’s weight cut, while another fighter couldn’t even make a pick. 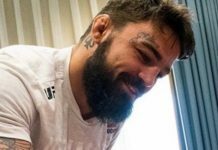 Zak Cummings, UFC middleweight: I am going with Dillashaw. He is just too fast and lots of power with his striking. I think he finishes him. Lyman Good, UFC welterweight: Dillashaw. I think Dillashaw has a chance of putting him in out. I don’t know what round but I think Dillashaw has a chance of knocking out Cejudo. Javy Ayala, Bellator heavyweight: That is going to be a good fight. Should be a tough one, but I think Dillashaw. I think it is going to be a stand-up fight and he will rock Cejudo quite a bit but it will go to the decision. Macy Chiasson, UFC bantamweight: I really enjoy both of those guys. I really like Cejudo and Dillashaw a lot. I’m a big fan of Dillashaw’s style so I see him using some really amazing angles. But, Henry has just this grind to him, just a non-stop, go go go. When I watched Henry fight Demetrious Johnson that was a hell of a fight. I really have no idea how that it goes. They are just so different and I don’t know how the weight cut will go for TJ. Elias Theodorou, UFC middleweight: I have Dillashaw. I think TJ is the bigger fighter and he has more experience in MMA. He has had those brilliant performances, nothing against Henry, as he had that great fight against DJ. It is just one of those things that I think TJ is a more dominant fighter in that aspect. Allen Crowder, UFC heavyweight : That is a tough one because I love both those guys. I love watching both of them fight. I would say TJ if he makes weight because he has that size advantage. Jason Knight, former UFC featherweight: Man, I honestly don’t know but I’m going to go with Cejudo. Cejudo is who I want to win. I think Cejudo is going to have the advantage in wrestling but Dillashaw is a beast so it is hard to say. But, I’m going to go with Cejudo I think he will outwrestle Dillashaw. Eryk Anders, UFC middleweight: TJ is going to knock Cejudo out. Jared Gordon, UFC lightweight: I see Henry Cejudo winning the same way he beat Johnson. 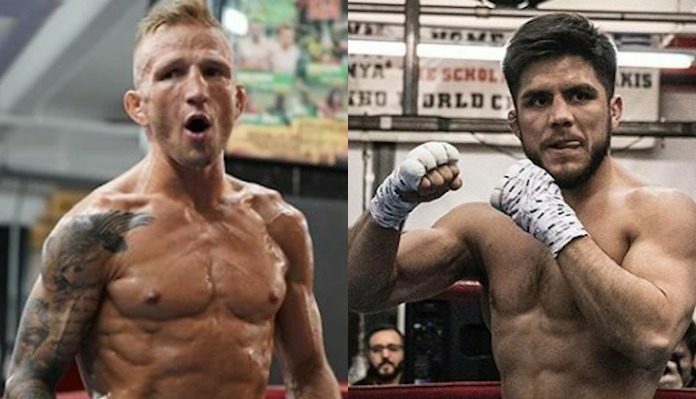 Who do you think will win the fight between TJ Dillashaw and Henry Cejudo?